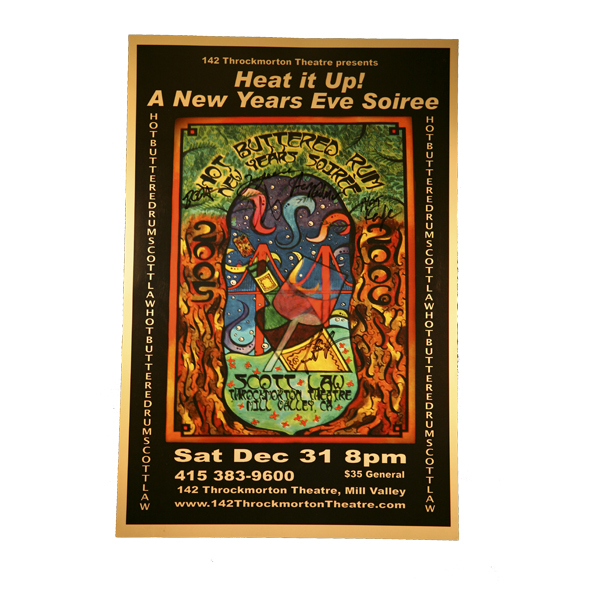 A poster variant of the 2005 NYE Soiree poster, with caption "Heat It Up" and venue information in border. Size 12x18. Signed by musicians.